In the cells of Alzheimer’s brains, by contrast, tau proteins aggregate into twisted structures known as “neurofibrillary tangles.” These tangles are considered a hallmark of the disease, but their precise role in Alzheimer’s pathology has long been a point of contention among researchers. Now, University of Texas Medical Branch at Galveston researchers have found new evidence that confirms the significance of tau to Alzheimer’s. Instead of focusing on tangles, however, their work highlights the intermediary steps between a single tau protein unit and a neurofibrillary tangle — assemblages of two, three, four, or more tau proteins known as “oligomers,” which they believe are the most toxic entities in Alzheimer’s. According to Kayed, a key antibody developed at UTMB called T22 enabled the team to produce a detailed portrait of tau oligomer behavior in human brain tissue. Specifically designed to bond only to tau oligomers (and not lone tau proteins or neurofibrillary tangles), the antibody made it possible for the researchers to use a variety of analytical tools to compare samples of Alzheimer’s brain with samples of age-matched healthy brain. Among the researchers’ most striking findings: in some of the Alzheimer’s brains they examined, tau oligomer levels were as much as four times as high as those found in age-matched control brains. 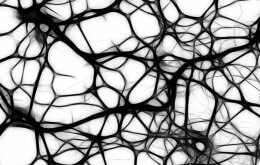 Other experiments revealed specific biochemical behavior and structures taken on by oligomers, and demonstrated their presence outside neurons — in particular, on the walls of blood vessels.